The committee has been looking at different tracking solutions, to see if a suitable system is available on the marked, and what the costs would be. We've been looking at systems that we could run our selfs, or systems that a provider would run for us. We've been looking at 8 systems and narrowed it down to one system for the "Full Service" approach and one for the "Do It Yourself" approach. A full service solution would cost approx. 7200 euros per event + travel, accomodations and expences. No investment and minimal work for the race management. If we buy the devices the cost per event would drop to approx. 5500 euros, but with a device price of 15000 euros, it would take 9 event before we have a return of investment, which could be 3-4 years depending on the number of events we wan’t to track. All prices above are including estimated 1000 euro per event in SIM costs. If going for the DIY option, it would take an investment in tracking devices to go down this route. Trackers would cost approx. 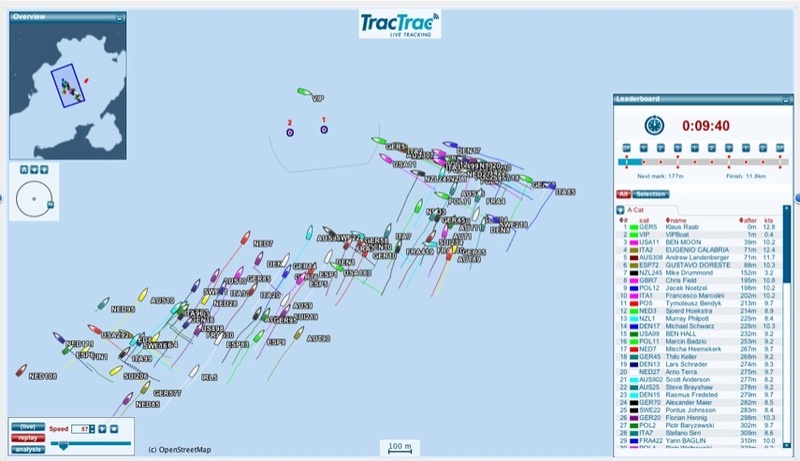 15000 euros for 100 trackers, and we should probably have a couple extra for starting line, buoys and some spare devices. For the trackers the fee for the first year is included when buying them, for the next year it would be approx. 4000 euros a year. On top of this comes an estimated 1000 euros per event in SIM costs. In the end, the IACA committee has decided not to invest in a tracking system. If we were to purchase the trackers they might end up sitting in a box never being used as we would be relying on volunteers. Also we would have the problem of them becoming out dated and possible ongoing costs with battery replacements etc.